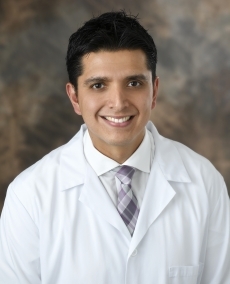 Angel Gonzalez, MD, is board certified in obstetrics and gynecology. Dr. Gonzalez received his medical degree from Universidad Autonoma deSinaloa, Facultad de Medicina in Culiacan, Sinaloa, Mexico. He completed a fellowship in minimally invasive gynecologic surgery at The Institute for Female Pelvic Medicine & Reconstructive Surgery/St. Luke’s University Hospital in Bethlehem, PA, where he was recognized for academic excellence. Dr. Rios is a Fellow of the American College of Obstetrics and Gynecology.